Every industrial building will have some form of lead work e.g. 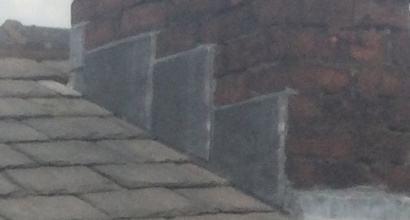 chimney, valley or flashing. Lead as a product is vital to your home for keeping the elements out of your property. Lead like most products has a shelf life and does wear out. 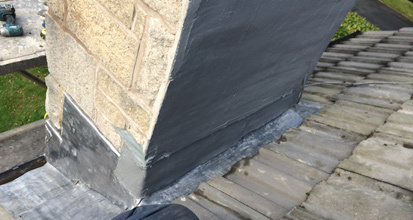 Simple repairs can be made to lead problems or in some cases new lead can be supplied and installed to where is needed. Lengthy guarantees can be issued with new lead products by EB roofing, We will ensure everything is installed correctly and make sure customer satisfaction is guaranteed. The standard of the work produced by EB Roofing is to a very high standard and it shows in all of our completed projects as EB operatives ensure customer satisfaction. 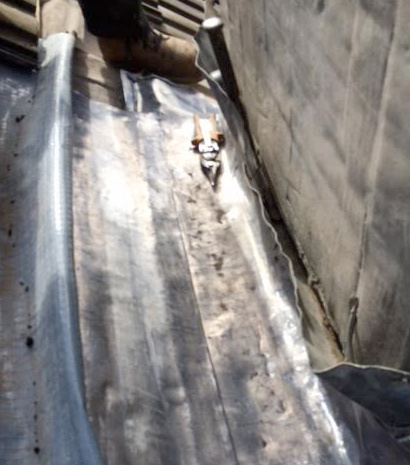 Whether it be uniformed roll ends, welting to lead welding EB roofing complete the whole proccess. EB Roofing assessed the existing structure, described in detail how a GRP roof would be formed along with the benefits of its durability. Edward with his professional and friendly team completed the work skillfully and efficiently in 2012. The finished product looks very neat, is virtually maintenance-free and above all completely water-tight. In 2013 I commissioned E B Roofing to replace ridge tiles on the main structure of the house and install a new dry ridge system. In addition, new gutters and rain water pipes were fitted along with the replacement of a number of roof tiles. Some remedial pointing to areas of exposed brickwork was also attended to. Once again Edward and the team completed the work with the same skill and to an excellent finish. If you require anymore information regarding any of our services please contact us today and a Roofing Specialist will get back to you shortly. 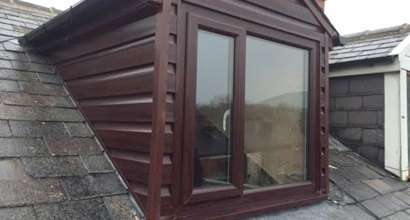 We are a roofing company based in the heart of the North West with many years’ experience in the building field. We go the extra mile to ensure customer satisfaction is guaranteed.